CANTON, MA (August 1, 2016) – Baskin-Robbins’ guests now have a cool new way to enjoy their favorite frozen treat as Baskin-Robbins today launched its new mobile app for iPhone and Android users. In addition to money-saving deals, ice cream fans can use the app to pay for their favorite flavored ice cream treats, frozen beverages and ice cream cakes with a Baskin-Robbins card and send virtual Baskin-Robbins cards to friends and family by text or email. To celebrate the launch, guests will receive a mobile offer for a free regular 4 oz. scoop of their favorite ice cream when they download the app. Access deals and coupons: App users will receive various mobile coupons and deals; including deals that are only available through the app. Purchase and reload Baskin-Robbins cards: Guests can add existing Baskin-Robbins cards, purchase new virtual Baskin-Robbins cards directly from the app and add money to an existing card. 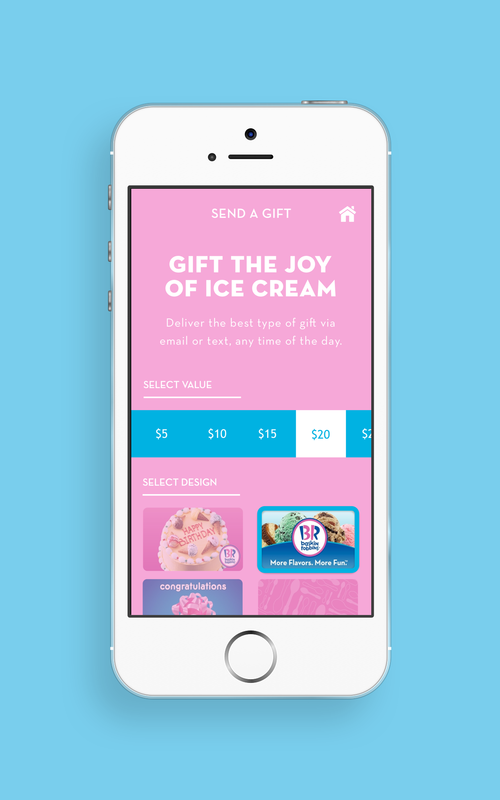 Purchase and send Baskin-Robbins Cards to friends and family: The Baskin-Robbins Mobile App allows guests to gift the joy of ice cream by purchasing virtual Baskin-Robbins cards and sharing them with friends and family to make someone’s day a bit sweeter. Baskin-Robbins cards can be sent in denominations between $2 and $100. 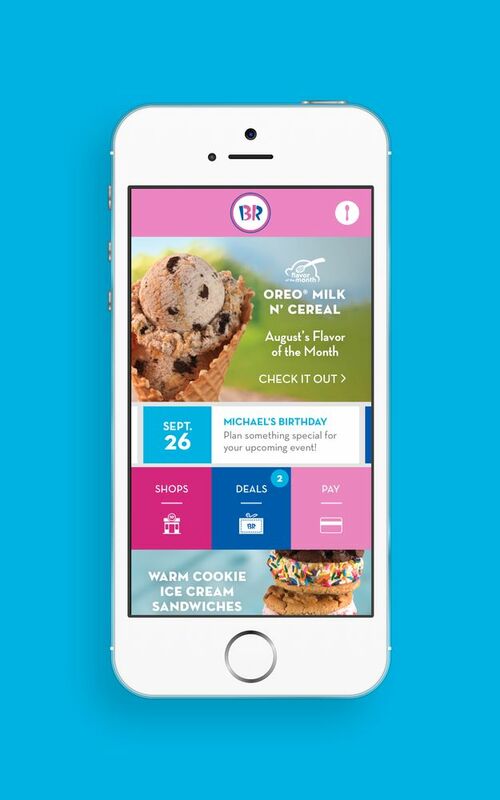 Current and upcoming promotions and events: App users can stay informed on various Baskin-Robbins promotions and events throughout the year, including the current Flavor of the Month. Locate the nearest Baskin-Robbins shop: A detailed store locator makes it easy to find directions and information about local Baskin-Robbins locations, including shop hours, online cake ordering availability, product offerings and more. 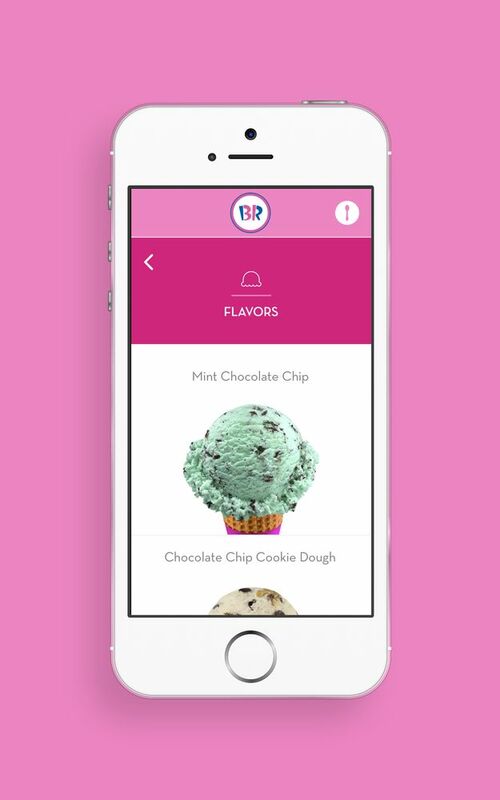 Browse the menu and sort frozen treats by nutritional preferences: The Baskin-Robbins Mobile App allows guests to easily browse the menu, including the brand’s classic and new ice cream flavors and frozen treats and sort by nutritional preferences. Guests can also view nutrition facts for some of their favorite Baskin-Robbins ice cream flavors, sundaes, frozen beverages and desserts. The Baskin-Robbins Mobile App is powered by Tillster, the leading provider of restaurant digital ordering and customer engagement products and services, and was designed by DigitasLBI, a global marketing and technology agency, to feel seamless with Baskin-Robbins’ brand voice and in-store marketing. 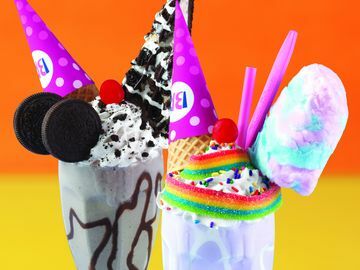 "At Baskin-Robbins, we take pride in delighting guests with our wide variety of ice creams and frozen treats and we're always looking for new and innovative ways to enhance the guest experience and to further connect with our customers," said Weldon Spangler, Senior Vice President, Baskin-Robbins U.S. and Canada. "We are excited to introduce our new mobile app to guests nationwide, which includes a range of features including special mobile offers, mobile payment and information about our products. We hope guests will celebrate our launch by downloading the app and enjoying a free regular scoop of their favorite Baskin-Robbins ice cream flavor on us." Additionally, Baskin-Robbins guests can enjoy dessert inspired by breakfast with Baskin-Robbins’ new August Flavor of the Month, OREO® Milk ‘n Cereal, which features cereal milk-flavored ice cream with OREO® cookie pieces, frosted corn flake cereal pieces, and a frosted corn flake cereal ribbon. To help guests celebrate throughout the summer, Baskin-Robbins is also offering a range of other delicious OREO® desserts, including a new OREO® Ice Cream Cookie Sandwich Cake and its new Polar Pizza, an ice cream treat that can be eaten like a pizza, in four featured flavor varieties including OREO® Cookies ‘N Cream. The new OREO® Ice Cream Cookie Sandwich Cake serves 12-16 people and features chocolate-flavored frosted cake topped with OREO® Ice Cream Cookie Sandwiches. The OREO® Cookies ‘N Cream Polar Pizza features a double fudge brownie crust with OREO® Cookies ‘n Cream Ice Cream, topped with crushed OREO® cookie pieces and drizzled with marshmallow and fudge topping. Finally, Baskin-Robbins is inviting guests to donate $1.00 to The Dunkin’ Donuts & Baskin-Robbins Community Foundation (DDBRCF) during their in-store visits throughout August as part of its Community Cones program. Funds raised will support local and national non-profit organizations that are focused on improving children’s health and providing food for the hungry.